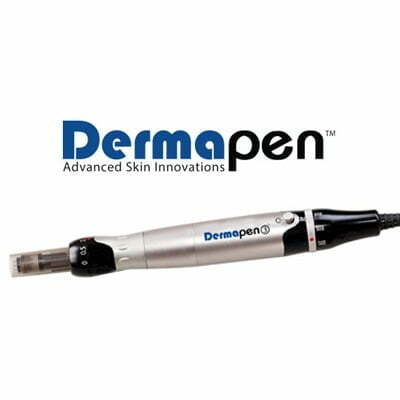 DermaPen is a device that allows us to reduce wrinkles, reduce visible pores, acne scars, burn marks and stretch marks. Strong stimulation of fibroblasts for the production of intercellular matrix components (collagen, elastin, hyaluronic acid) requires the supply of nutrients for skin cells. 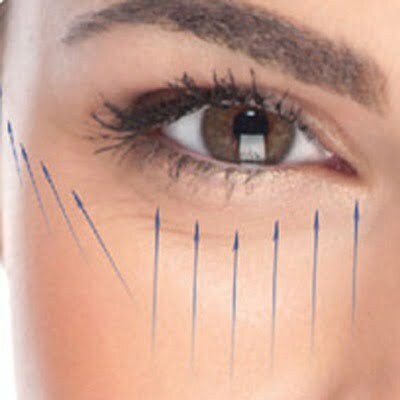 Thanks to the patented technology of pulsating needles, DERMAPEN is more effective and safe than other known methods used in skin needling and micro-penetration. Precisely selected depth of injection (in the range of 0.5 mm to 2.5 mm) allows full control of the performed procedure – unlike derma-roller and mesotherapy performed using a syringe and needle, so-called. nappage technique. Treatments using Dermapen are effective in removing wrinkles, removing scars and stretch marks. The use of Dermapen increases skin tension, firms, and consequently lifting the skin subjected to therapy. The low invasiveness of the Dermapen treatment and its functioning mechanism allow it to be combined with many treatments available on the market. Visualization © Eskulap.co.uk 2018. DermaPen - reducing wrinkles, removing hyperpigmentation, stretch marks, acne scars - How does it work? Currently, in aesthetic medicine, the use of combined techniques is a standard practice. Only the right selection of techniques and tools for specific indications allows to obtain appropriate therapeutic effects. Skin micro needling technique has been used in aesthetic medicine for a long time, an example is needle mesotherapy or mesotherapy with rollers at you own home. 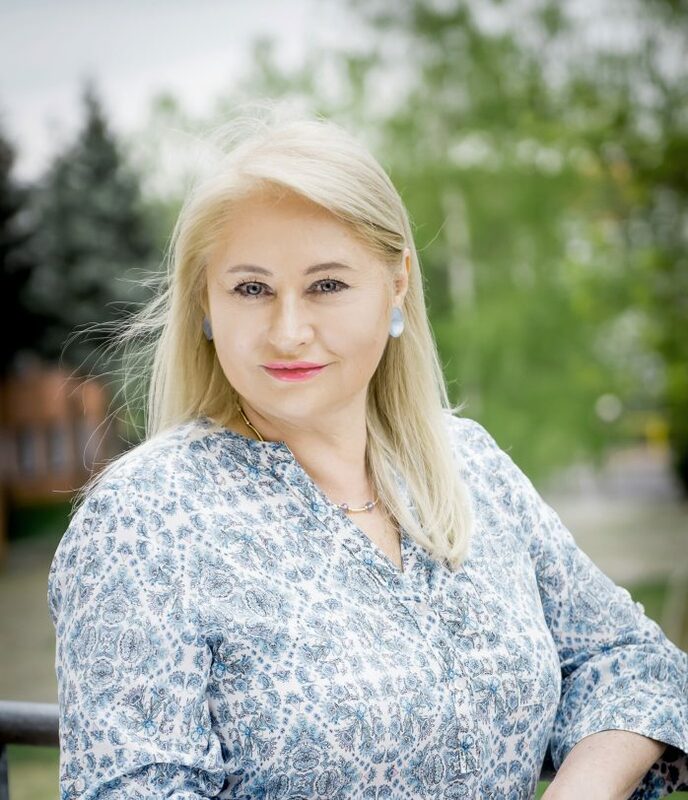 At the Aesthetic Medicine Clinic Eskulap mmKisiel in London, Birmingham and Słupsk, we use DermaPen, which due to its capabilities is widely used in aesthetic medicine and is much more comfortable for the patient. DermaPen thanks to the system of pulsating needles facilitating the delivery of active substances to the epidermis ensures intensive stimulation of fibroblasts. The resulting skin micro-injuries use the body’s natural abilities and the innate ability of the skin to physiologically induce collagen. Controlled precision of DermaPen allows to distinguish three phases of its action mechanism in the process of stimulating skin cells and rebuilding its structure. Call today to book a consultation 07747474755. DermaPen - smoothing out wrinkles - How Does It Work? DermaPen – smoothing out wrinkles – How Does It Work? The first stage begins with the secretion of platelet-derived growth factors and the cascade of new epidermal cells formation, fibroblast chemotaxis, fibroblast proliferation and stimulation of the production of intercellular matrix. Skin cell proliferation processes cause further secretion of growth factors from fibrolast, keratinocytes and monocytes, which leads to the second phase of skin remodeling, in which collagen type III, IV and I, elastin, proteoglycans, GAG, and processes of formation of new blood vessels are stimulated. The last phase of the DermaPen mechanism of action results in the remodeling of treated tissues. The vascularization of the skin improves and its structure is strengthened due to the presence of new collagen. The quintessence of the DermaPen action is the body’s natural ability to self-heal and correct tissue remodeling. The treatment with the use of DermaPen is a modern method of fractional needling of the face, neck, hands, doby, cleavage, decolletage. By puncturing the skin, we cause a micro-injury which stimulates the skin to heal, heal and initiate regeneration processes. At the beginning there is persistent 1-3 days of inflammation. The growth factors released from blood cells cause the multiplication and growth of the activity of skin cells. Remember that treatment with the use of the DermaPen skin micro-needling device is offered only by aesthetic medicine doctors. Make sure that you only use authorized DermaPen clinics – you can find them on thrir website www.dermapen.com.pl. DermaPen with peeling combination is most often used to intensify the skin-stimulating effect. In order to achieve this effect and at the same time avoid effects of micro-needling, it is necessary to combine peels that undergo self-neutralization in the skin, such as TCA-based peels or modern solutions of alpha and beta-hydroxy acids undergoing simple neutralization. This type of combination works mainly in the treatment of hyperpigmentation, deep acne scars or stretch marks. It seems that the combination of micro-needling with the introduction of active substances into the skin is obvious and natural. Most often, to intensify the effects of the treatment, products based on low-molecular hyaluronic acid, amino acids, peptides, nucleotides, silica, vitamins, microelements and DMAE are used. 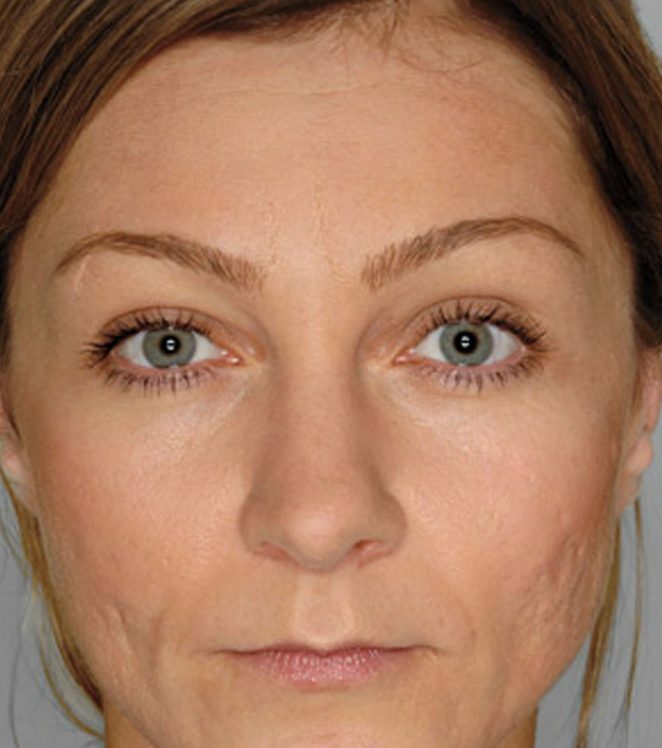 To achieve a strong fibroblast-stimulating effect, we can combine fractional micro-needling with platelet-rich plasma. This combination works well in the treatment of baldness. 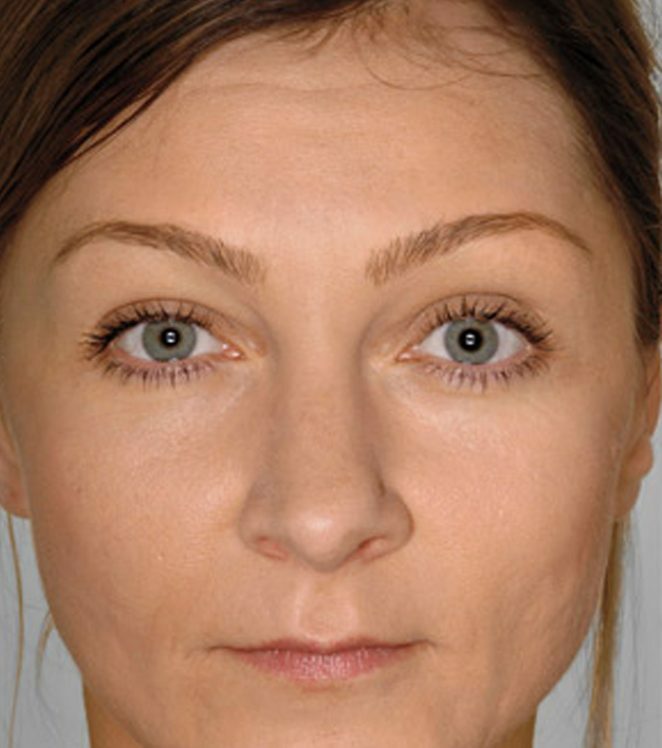 What does the Dermapen skin tightening procedure look like? Smoothing wrinkles with the use of DermaPen takes about 30-45 minutes. Anesthetic cream is applied to the skin before treatment. The device gives the unique opportunity to choose the depth of treatment, depending on the area, indication and thickness of the skin. Immediately after the treatment, the patient can feel hot or light burning. We recommend the use of a soothing mask (added to the price of the treatment at the patient’s request), which thanks to the properties of accelerating the healing of the skin, will reduce redness and swelling without inhibiting inflammation. The next day the skin may be pink, tense, as if after a slight sunburn. After 3-4 days, gentle exfoliation may appear. After 5-7 days you can already enjoy the effects of DermaPen therapy. How often do you repeat the Dermapen treatment? DermaPen treatment should be done once a month to continue the removal of dry tissue and epidermis and to maintain the effects of therapy.